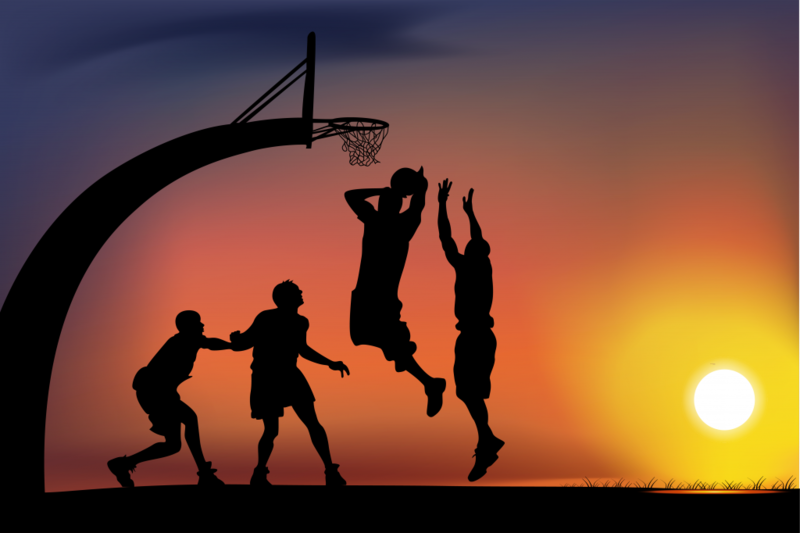 You are here: Home / Business Development / When Should You Up Your Business Development Game? You’ve probably heard the one about the company that got so busy working on projects that they stopped doing business development. And why not? Their phone just kept ringing with new opportunities. But then the phone stopped ringing – that was okay, it seemed, because there was still work to be done (aka, backlog!). Soon, however, workload began to diminish. Staff members who had decreasing amounts of billable time were told to “go get work.” Beyond the firm’s existing clients, however, they had few relationships. Opportunities continued to diminish, and more staff found themselves without project work. Office stress levels went up, and layoffs followed. This has played out tens of thousands of times in the architecture, engineering, and construction (A/E/C) industry. So how can a firm keep this scenario from becoming reality? By focusing on proactive business development. Right now, before it’s too late! Research commissioned by SMPS/SMPS Foundation found myriad approaches to staffing business development. Mid-size and large firms are more likely to have dedicated business developers on staff than smaller firms. Firms of all sizes rely on technical professionals (seller-doers) to dedicate a portion of their time to business development. 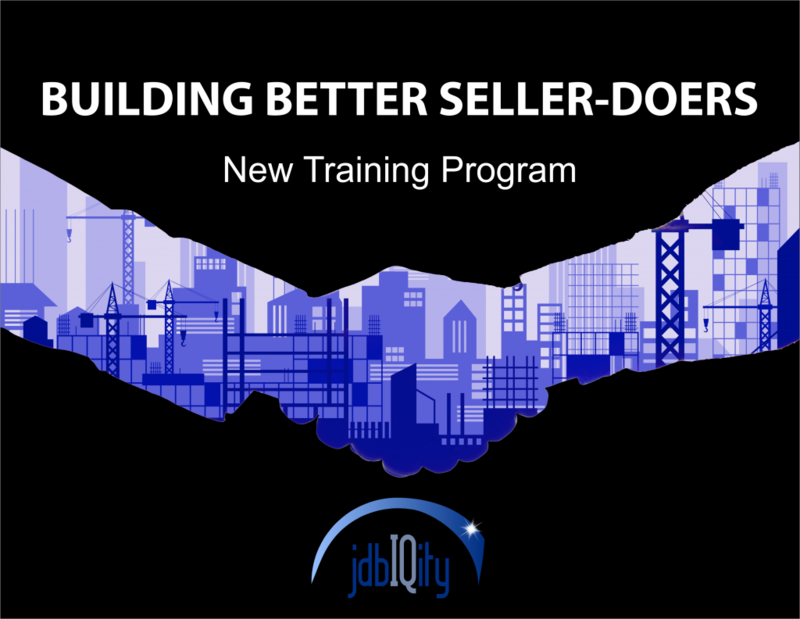 Some firms use seller-doers exclusively, while others incorporate a mix of dedicated business developers and seller-doers. Others use professional business developers exclusively. No matter the size of your firm, however, you most likely have key staff members involved with business development: principals, project managers, construction executives, lead architects or engineers, and more. Industry surveys have revealed that A/E/C firms typically generate 80% of their work from existing clients, making this the most fertile ground for seller-doers to conduct business development – expanding services and locations with existing clients. Conversely, firms with dedicated business developers typically have them focus on generating opportunities with new clients. But how, exactly, are technical professionals learning to sell? Sadly, only about one-third of firms provide any sort of business development training to staff members. Would you make a recent high school graduate a lead engineer? Would you let a newbie in the construction industry serve as a site superintendent? For many design and construction firms, times are good right now. Work is plentiful. Conversations around boardroom tables are more focused on finding staff to deliver projects than conducting proactive business development, much less offering business development training. And that’s a critical mistake. Whether the next industry downturn occurs in one year or three years, it will happen. Firms should never take their eye off the business development ball! One of the best ways to do that is to provide training to your principals, project managers, construction managers, and other key staff. If you have dedicated business developers or a marketing department, you should empower them to develop a training program for your team. Reference the findings above for potential training topics. To download a complementary copy of the 32-page research report from SMPS/SMPS Foundation, Sell. Do. Win Business. How A/E/C Firms are Using Staff to Win More Work, surf here: https://www.smps.org/wp-content/uploads/2016/10/Sell-Do-Win-Business-Web-Res-Report.pdf. Note: I led the research and authored the report. Interested in providing training for your staff? 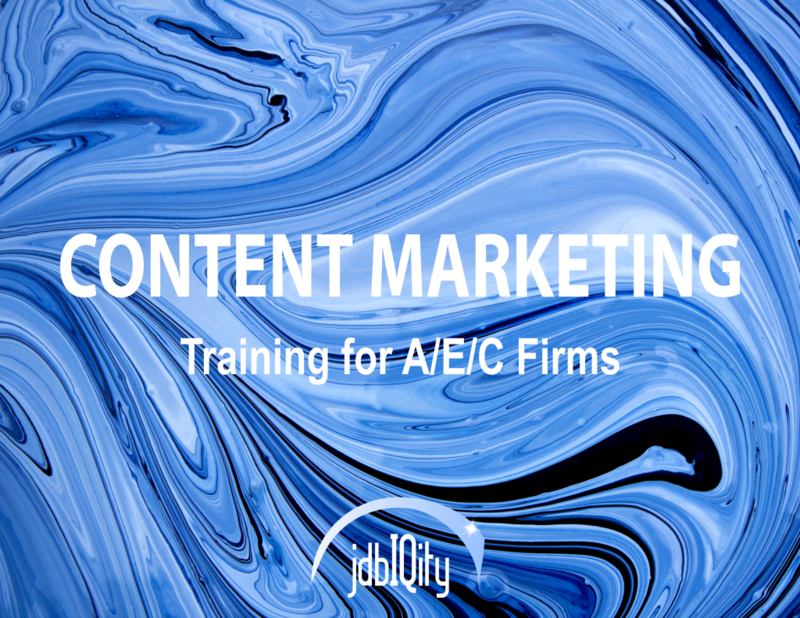 Check out my two new programs below, Building Better Seller-Doers and Content Marketing for A/E/C Firms! Reach me at 717-434.1543 or email me at sbutcher@jdbe.com if I can help in any way.